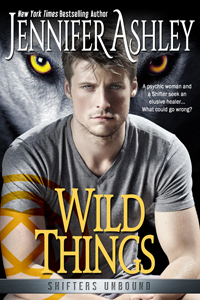 Lupine Shifter Mason McNaughton has had enough of the feral Shifter living in the bedroom down the hall from his. Nothing is working to heal the guy, so Mason volunteers to go in search of an elusive Shifter healer. Jasmine Samuelson, a psychic from New Orleans, is the best bet to help him, but can he convince Jasmine, who vows to have nothing to do with Shifters, to accompany him on his perilous mission?